Thank you for reading the review and I am glad you liked it! 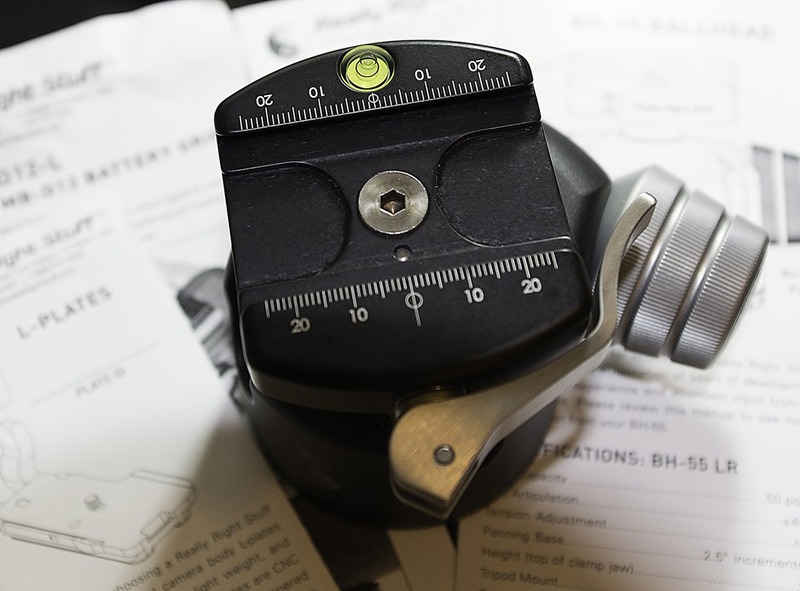 The TVC-33S uses a mechanical locking ring system to ensure an absolute solid mount for the ballhead and the camera. 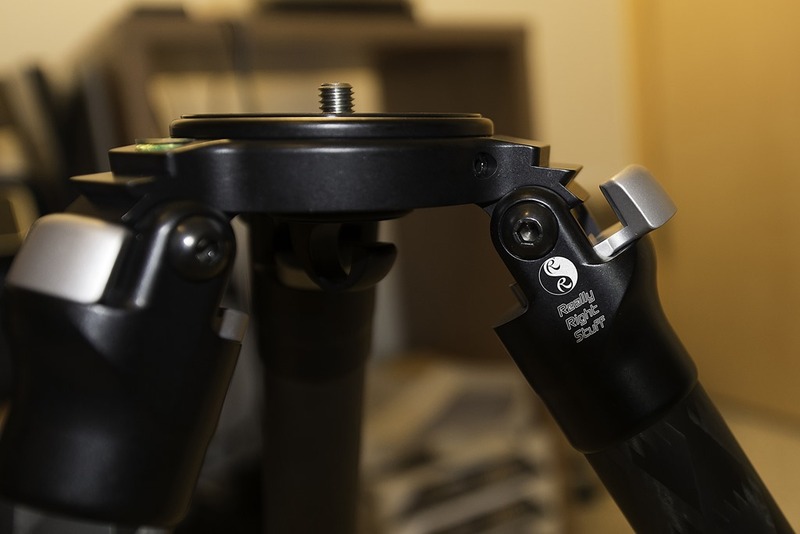 The three set screws provide for this grip, and this information from the RRS web page gives a good diagram of how this mechanical ring system is constructed. 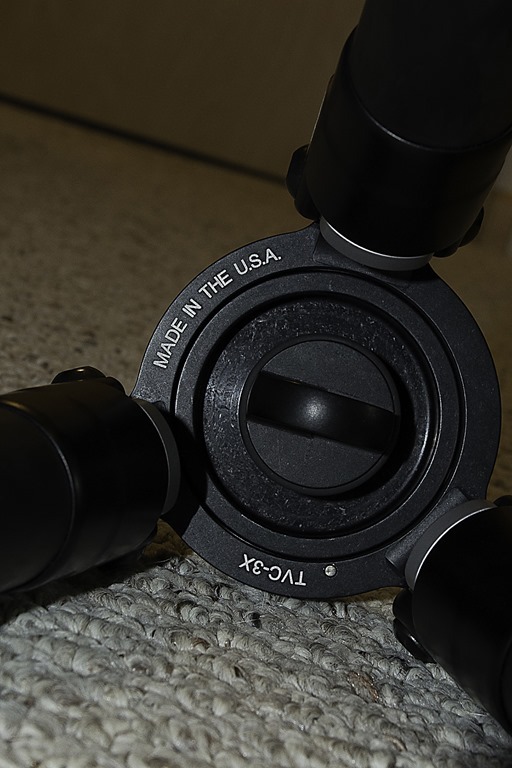 The threaded hole next to the 3/8 ” mount is not used for securing the tripod head, but I can confirm that this mount setup easily and with a lot of confidence holds my Nikon D800 and a 14-24 mm lens even while transporting level to the ground. I am not sure what the threaded hole is for, it may be for an accessory setup of some sort. I have been using the tripod for a few months now and it has performed flawlessly in all situations and conditions from frigid cold to blazing heat, it is a very fine piece of kit. Hi Bob, really appreciate your time taken to reply my query. I think you’ve made my choice a little easier… The TVC-33S and BH-55 LR should be on it’s way to Singapore soon. I’m also a D800 user and absolutely love the camera. 3 cheers to you Bob! 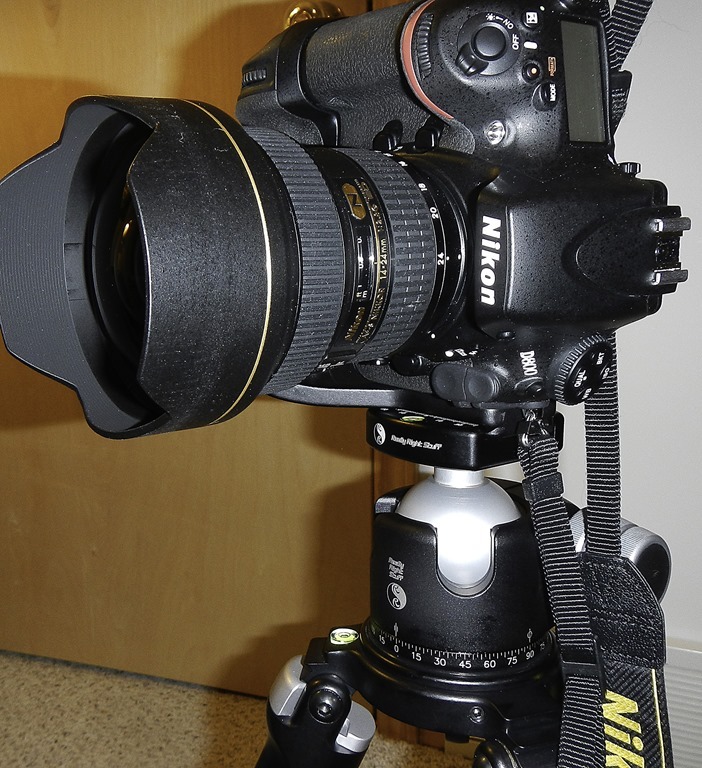 I am sure you will be happy with the tripod and ballhead, top shelf all the way! Let me know how it works out! I’ve been drooling over one of these bad boys for over a year now, your review has helped solidify the decision to go for this over a Gitzo/BH-55 combo. Thanks! 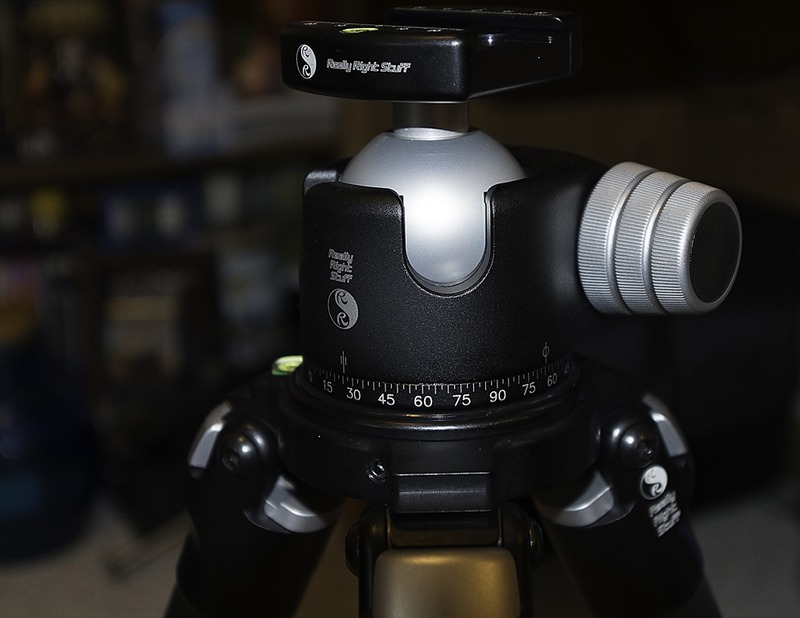 It’s a great tripod, you wont be disappointed! And the BH-55 is amazing, extreme secure stability with that ballhead. Thank you for this great review. I am 5′ 5″ myself and from the information on the RRS website, http://reallyrightstuff.com/mmrrs/Images/library/versausers/ImageGrid.html it looks like the TVC-33S + BH-55 is the right combo for me. 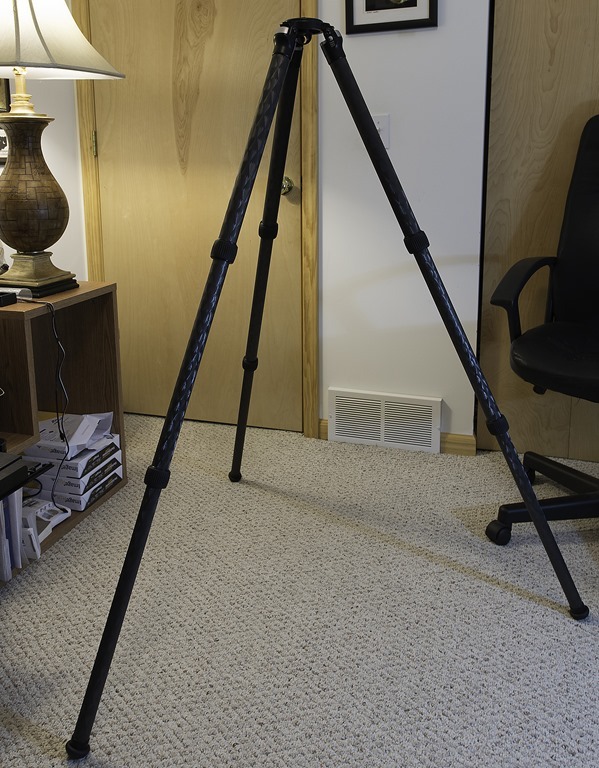 But a lot of folks suggest I get a taller tripod such as the TVC-33 for my height. I understand that the extra height is useful when on a slope but for everyday use on flat surfaces, I will have to stand on a thick book or two to get my eye to the view finder. what are your thoughts about this? I am about 5′ 7″ and I find the TVC 33S to be perfect, perhaps even a smidge too tall, when fully extended and I am trying to see through the viewfinder! If I am using live view then it is just about perfect when fully extended. 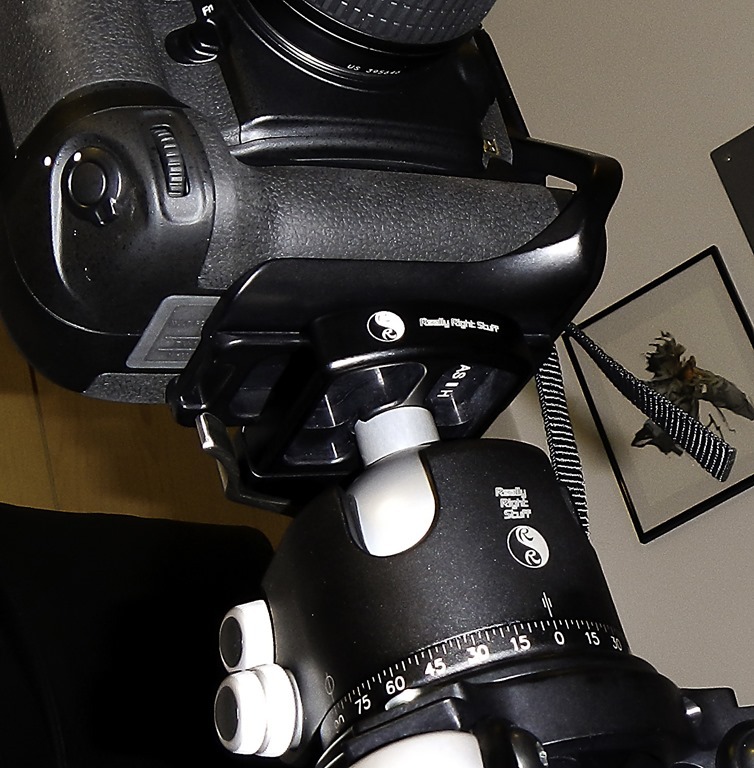 I have had quite a few people say the same thing to me–get a tripod that will be tall enough so if you are looking when it is fully extended then you wont have to bend over to see through the viewfinder. 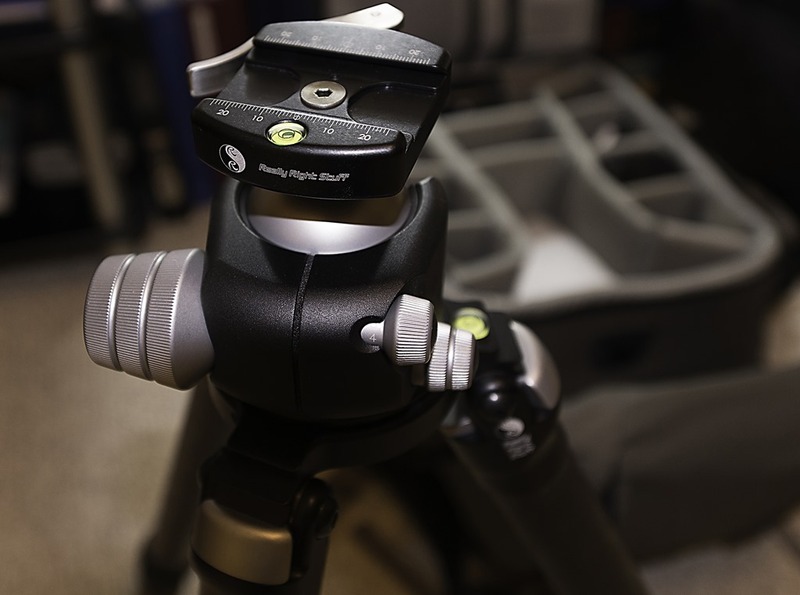 Keep in mind, the BH-55 ballhead adds a few inches to the tripod height when mounted. Sometimes, I do use the tripod fully extended and standing on the ground with boots on, it is easy for me to see through the viewfinder. I use the metal spiked feet for sand and those sink into the ground quite a bit so the overall height of the tripod is shorter. 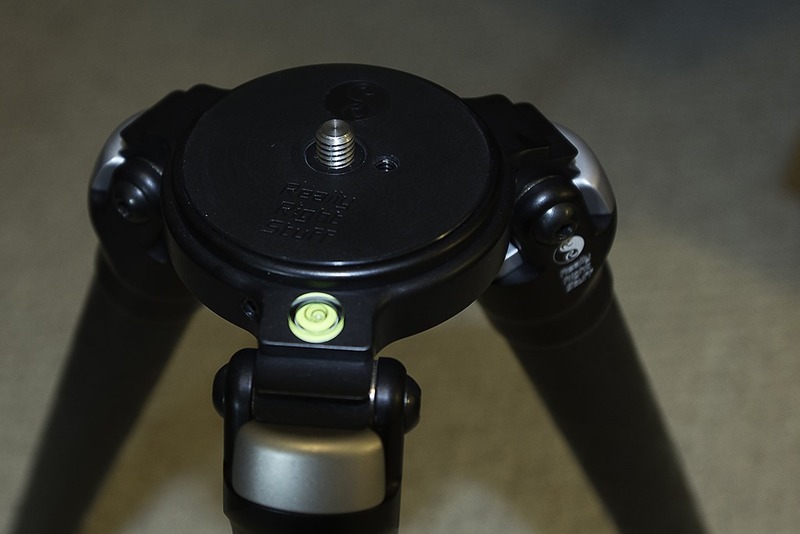 Other times, I use the regular rubber feet on flat ground and the tripod is higher. I also do a lot of shooting with the tripod very low to the ground and have to kneel down or sometimes lay on the ground to compose the shot so for me I’m not looking for a tripod that is perfectly eye level and, as you said, if I am on a slope the tripod is very low to the ground where the camera mounts. Also keep in mind–the camera mounting plate will add some height and if you are using a battery pack there is even more height! Personally, I think the TVC-33 would have been too tall for me in certain situations so I went with the TVC-33S and don’t regret it one bit. Sure, if you are going to be taking most of your shots from the same, fully extended tripod height–such as portrait works–then you definitely don’t want to be bending over or standing on tip toes to work the camera. On the other hand, if you are going to use the tripod in all sorts of locations and situations like rocks, slopes, beaches, grasses, etc. then, in my opinion, the ‘perfect height’ is not as important. Before I ordered my equipment, I sent the folks at RRS an email and told them of my height and what I was going to be using the gear for and they recommended the TVC-33S so I went with that. I made sure to practice using it in my house with all the gear just in case it was too tall or too short. Ask them if the tripod is too tall or short for you if you can return it, for example. However, given your height, I bet the TVC-33S will be the best one for you. Thank you for taking the time to read the review and happy shooting!! You are correct. I mounted my D800 on my $50 tripod and extended it to match the height of the TVC-33 + BH-55 combo and also the TVC-33S + BH-55 combo. The TVC-33 is ridiculously tall for me while the TVC-33S combo is the right height. 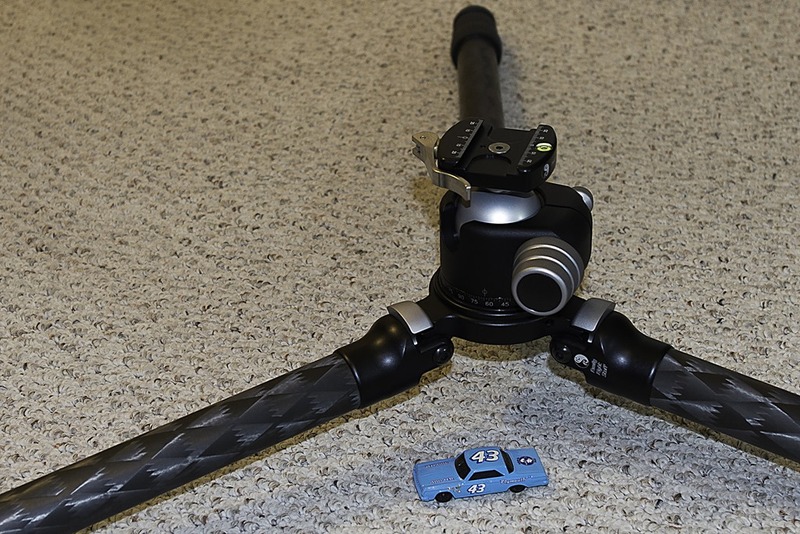 Can one use the RRS tripods without the legs fully extended. That’s the only way I see myself using a TVC-33. Thank you for taking the time to reply. I really appreciate that. I just purchased the TVC-33 with TA-3-QC and BH-55 PC-LR plus some (not cheap). I am around 5ˊ7”+ and an inch taller with shoes (thats 68”+)so i think the 33 is better because i have the option to go full height at 72” + or 6′ inclusive of the head and camera vs 33s max is around 58” with ballhead and camera (thats less than 5′). I prefer standing straight while taking photos. I just emailed you to ask about the Lucroit system and then I saw your review of the TVC-33 and BH-55. It is funny that I went through the same process, also learning of this great product from Elia and his “behind the scene” pics (they should give that guy free gear!). I have ordered the same set up and am patiently waiting for the delivery. You write a great review and reading about your process helps remind me (and my wife!) that I am not alone in doing throughout research (what my wife likes to call “obsession”) before taking the plunge! Let me know when you have a minute to comment on the Lecroit gear. Thanks again! Thank you for the kind words, I appreciate them! I am sure you will be happy with the Really Right Stuff gear, I’ve been using it for about a year now and have zero complaints. Well worth the money spent and I am looking forward to years of use! Happy Shooting and let me know how the gear works for you!